Finally il Mercante has come back from its second adventure, a long and exhausting journey. 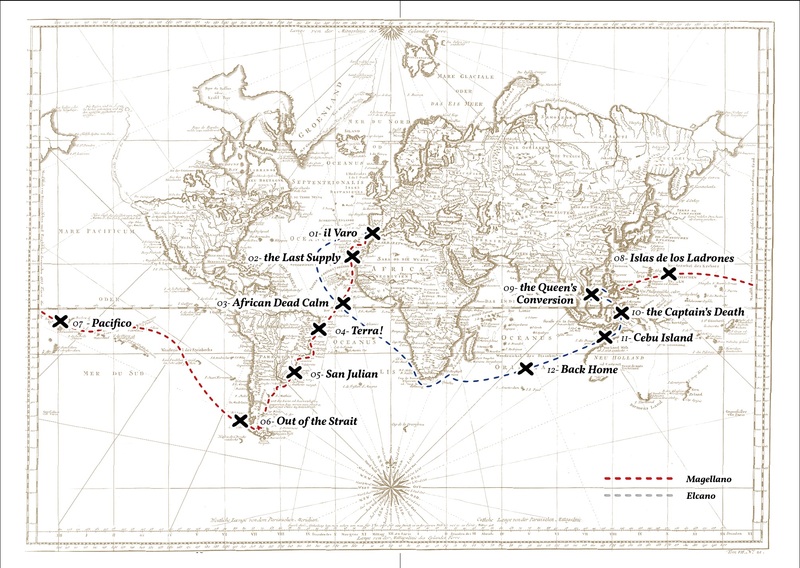 Turning around the World with Ferdinando Magellano has been really challenging! 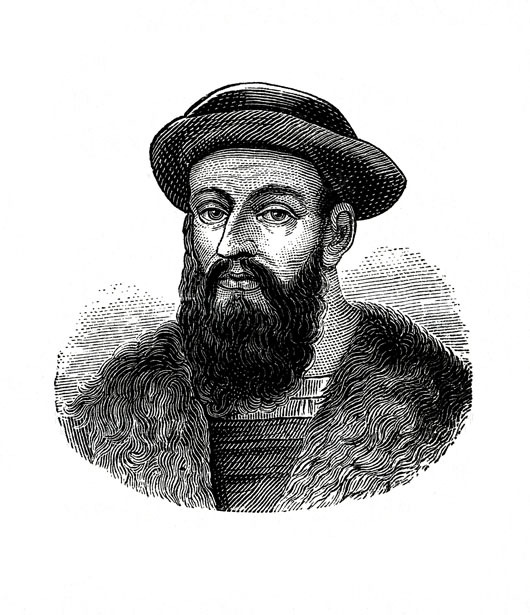 After Marco Polo, the choice of the new “Merchant” we want to follow was relegated to the Portuguese navigator for two reasons: the first chronological, the second human. In fact Magellan fully embodies certain aspects of the modern man. The dreamer, who rely on hope and has as its only proof of his belief, the design of a map made by a friend by hearsay. The presumptuous, full of himself and convinced of his pre-eminence, to the extent of compromising his own life and that ones of his men, miserably losing the bet for underestimating his enemies. The stubborn, able to defend its decisions to the end, even when all the crew no longer recognizes him as a leader and no longer believes in the success of the mission. On this second trip, the bar world is supported by the kitchen stoves, creating unique and unrepeatable combinations. A new structured menu on our guests, YOU, where we have left room for adventure, innovation, tradition, but above all … to our imagination! Welcome back, the journey is about to start over! important ceremony in a vessel’s life, the one about fortune will depend of: the launch! are full of wine and water, the next refill will be done in a few months… maybe! will give you the energy you need for the crossing! Dead calm sea doesn’t let you go for the Atlantic ocean and stuck you at the African coasts. Citrus infused vodka, orange curacao, cape gooseberries & sumac chutney, lime juice, peach & moroccan bitter, Rooibos tea & muscovado sugar soda. Acai & beet root purée, passion fruit, green coffee cordial, cachaca, carob infused mezcal, lime juice, Mexican mole bitter. illnesses. Food is missing, like wine… The risk of a mutiny is not so remote! Watch your back! Beware from men, but above all from freezing! Finally you reached the Pacific ocean! Tawny port, aromatic pisco, “Ancho Chile” chili liqueur, cocoa & red orange syrup, sal de gusano, house paprika bitter. After this very long journey there’s nothing left to eat. In the galley you can only find rotten crackers, putrid water or, if you are lucky enough, you will catch some rats. Aged rum infused with spent coffee grounds, Jamaican rum, dry marsala, “rotten” banana*, house wood bitter. * of course the banana is not really rotten, we frozen it in order to force the maturation, resulting over-matured creamy banana. Another marvelous vision.. you can see some islands in the distance, you made it, finally you get to the Moluccan Islands! Or maybe not? Once on shore there are big figs, and some spices breaks through the green vegetation… but there aren’t many residents, and the few are getting closer trying to steal your belongings! It’s better to continue by the sea, but not before stocking up some local delicacy! Rhum agricole, fino sherry infused with star anise, figs liqueur, raspberry & grapefruit shrub, lemon juice, nocino liqueur & sake velvet. In this gorgeous green island, locals get all impressed by the power of your God, even more by yourself! Everybody wants to convert to the new Faith, but the most important ceremony is the conversion of the queen, soaked in rose perfume and littered with coconut oil. Akvavit, rosolio, Batavia arrak, Mastica liqueur, shiso leaves syrup, lime juice & coconut oil emulsion. One of the biggest mistakes that can be made in an unknown land is the sin of presumption. Being too convinced of your chances often leads to a defeat, and this time you will pay the bill! Attacking an island to assert your voice and to declare your God’s superiority, turned out to be fatal. The low seabed does not allow the advance of the ships’ cannons. Fifty men only can do nothing against the poisoned arrows of these “savages”. Here, it comes to your body, the end is near. Your last hope is that someone else may return to Seville, so your name will stay into History. Timut pepper infused gin, pineapple, honey and cherry shrub, apricot liquor, verjus, tonka beans bitter, burnt rosemary. Rhubarb “poison”. Yes, now you can really rejoice, you reached the Moluccan Islands! After almost two years navigating the sea, you get to the desired destination, where you’ll fill the ships with the spices will make your return so sweet and… profitable! Peacefully enjoy the taste of victory, seasoned with a pinch of that salt your bones are now doused with! Tarragon infused tequila, italian passito wine, mango and miso purèe, homemade pacific falernum, lime juice. 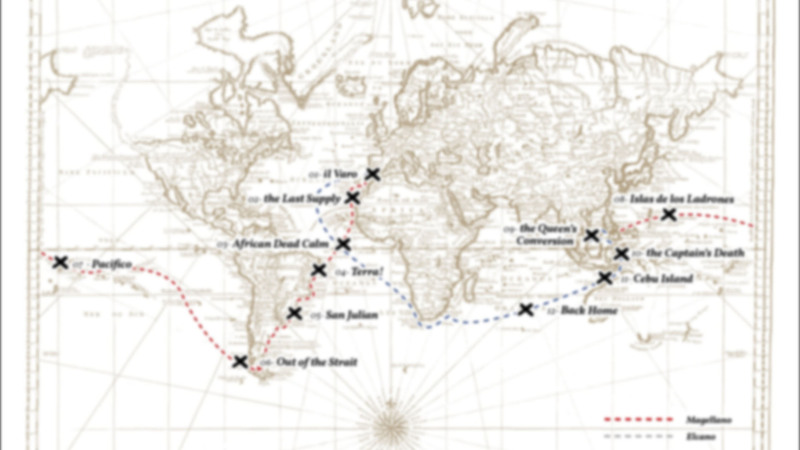 The time has come to go back home, after being the first man to discover the gateway to the Pacific ocean. You only have one ship left, the other one needs to stop for a few months to restore its “tired” wood. But fortunately your one is well loaded with valuable spices that will profit a big fortune, other than the eternal glory of being the first one who travelled around the world. But Indian and African coasts are patrolled by Portuguese ships, and the king issued a bounty on your head, a death sentence on the armada of the great Ferdinando Magellano. So… your fate is at stake again, it’s up to you now to play the game right! White calvados, gin del Professore “monsieur”, fino sherry, black pepper & lime cordial, raspberry & ruby port coulis, lime juice, black pepper & cherry bitter.